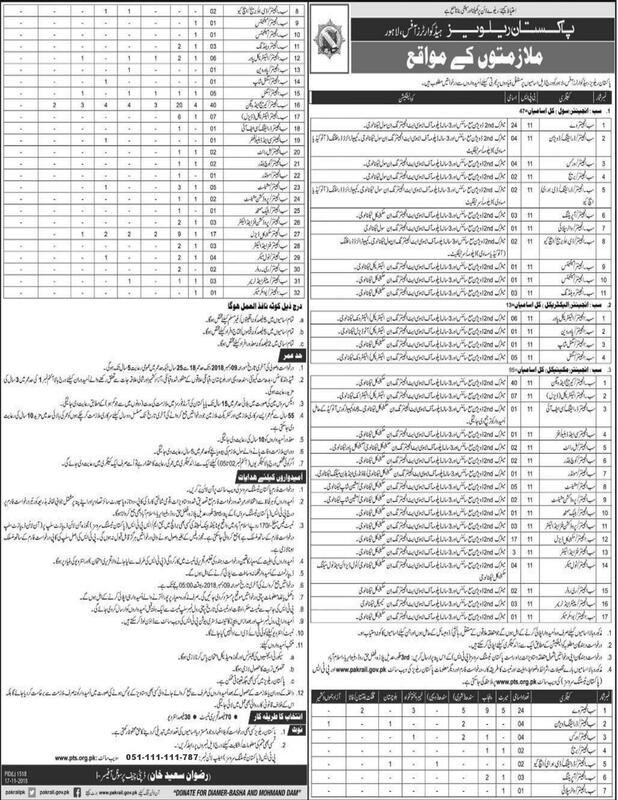 Pakistan Railway Jobs PTS Test Roll No Slip download online fom here. PTS conducts the test for jobs in Pakistan Railways. Pakistan Railways is the national, state-owned railway company of Pakistan. Founded in 1861 and headquartered in Lahore, it owns 4,800 miles of track across Pakistan from Torkham to Karachi and operates freight and passenger service. Pakistan Railways was also known as the Pakistan Western Railway from 1947 to 1974. Pakistan Railways forms the life line of the country by catering to its needs for large scale movement of freight as well as passenger traffic. It not only contributes to its economic growth but also promotes national integration. Pakistan Testing Service organize the test for the jobs in Pakistan Railways headquarters office Lahore phase V , 275, 275 & 259. All those candidates who apply for Railway jobs. Now waiting for their test roll no slip. So that they are able to appear in the Screening Test. Roll no slip / list of candidates is available here. You can download your test roll number slip from here. How To Download Pakistan Railway Jobs PTS Test Roll No Slip? Students go to the official website of PTS and enter his/her CNIC number. Aspirants can also get the print of their roll number slips. Students press the (ctrl+p) and get the print of the Pakistan Railway Jobs PTS Test Roll No Slip.